Morbid as it may be, that’s some fine handwriting. In 1932-1933, at the worst point in the Great Depression years, unemployment rates in the United States reached almost 25%, with more than 11 million people looking for work. Farmers who had lost their land and homes to foreclosure as a result of the Dust Bowl made up a large part of the idle workforce. “Hoovervilles” (named after Herbert Hoover, the American president many blamed for the Great Depression) and shantytowns sprung up all across America, areas in which people gathered and constructed makeshift homes out of boxes, packing crates, abandoned cars, and scraps of wood. Between 1929 and 1932, incomes, on average, were reduced by 40%. Deflation took hold, reducing prices by 10% per year on goods. Foreclosures rose sharply. By 1934, nearly one-half of all residential loans were delinquent and over 1 million families lost their farms. In 1932 alone, 273,000 families were evicted from their homes. Between 1929 and 1932, construction of homes dropped by an incredible 80%. The Great Plain States were hit even harder than other states. This is because they were hit by a severe drought. Many companies were forced to close, due to the economic environment. Banks were closing at an alarming rate and in 1933 alone, more than 4,000 banks closed. By 1933, the GDP fell 33%. During the Great Depression, there were 2 million homeless people in the United States. The stock market hit a low in 1932 closing at 41.22, down 89.2% from its all-time high. 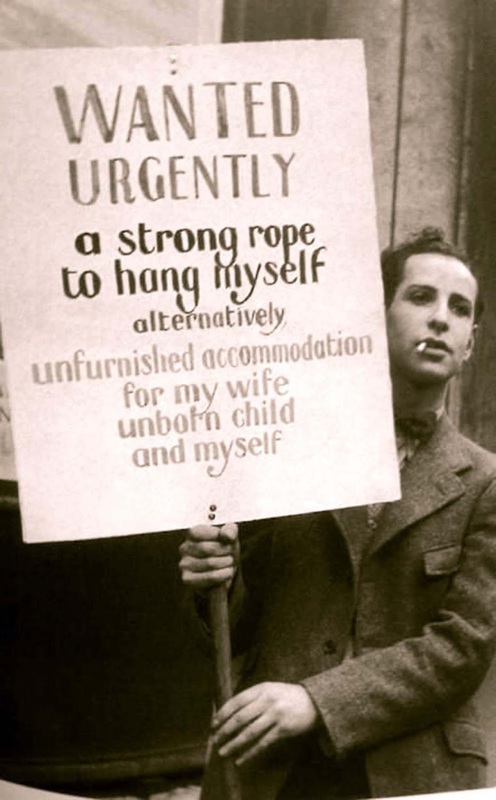 In the aftermath of the Great Depression, a lot of things changed. There were 10,000 banks that went out of business. Around one-half of all banks either closed or merged with other banks. The role of the Federal Reserve and government increased. Tighter regulations were put on financial markets and banks. The Federal Reserved shifted to a policy of maintaining high employment and fast growth. But apparently had enough money to buy cigarettes. Ah! The necessities of life. Maybe he is trying to kill himself slowly with the cigarettes. You people are stupid. This person is trying to stay alive and all you think about is him having a cigarette in his mouth.